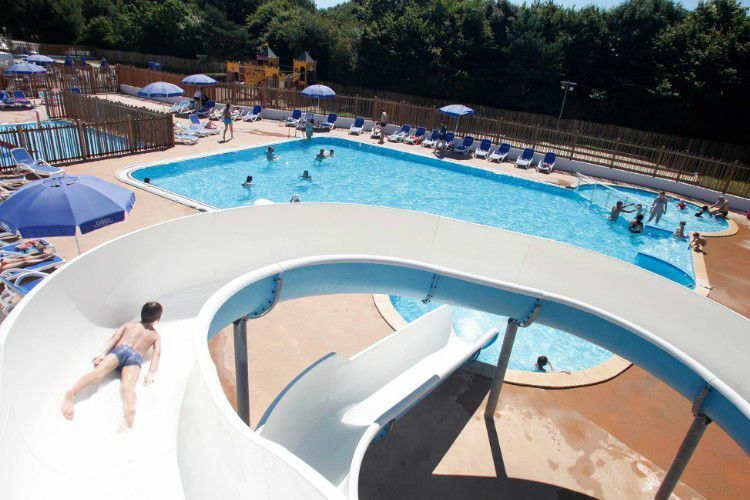 For your holidays in Brittany, the Kerarno campsite welcomes you to natural and calm surroundings in the Morbihan area. The establishment is located just 1000m from the beach of Saint Philibert, 10km from the Carnac stones and 5km from the marina at La Trinité-sur-Mer. For both little and big, a large onsite pool with a waterslide can be enjoyed during your stay. Relax under the shade of the palm trees and enjoy a delicious cocktail made with love at the campsite bar. When the kids aren't splashing around in the pool, they can play in the playground or take part in the organised activities at the kids' club. During this time, adults can relax in the jacuzzi, chill out on the sports field or go for a bike ride the visit the region. Don't miss the oppertunity to see the Carnac stones, go on a trip to the Quiberon peninsula or learn about the construction of sailing boats at the Cité de la Voile Éric Tabarly. Next to La Trinité-sur-Mer and its world renowned marina, Saint Philibert enjoys an ideal location in a well known tourist area. Don't forget to visit the megalithic stones and beautiful beaches of Carnac. 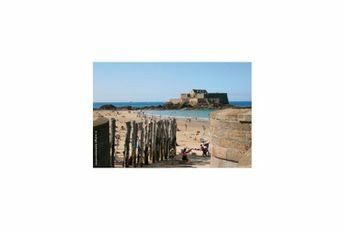 Belle Île en Mer welcomes you for an amazing tour departing from the city of Quiberon. Vannes, situated 30km away, invites you for an unmissable tour of its historic centre! 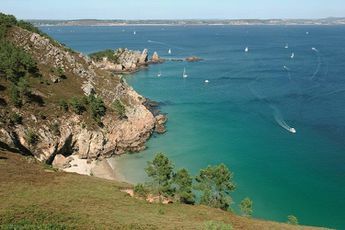 Have a nice holiday in Brittany !